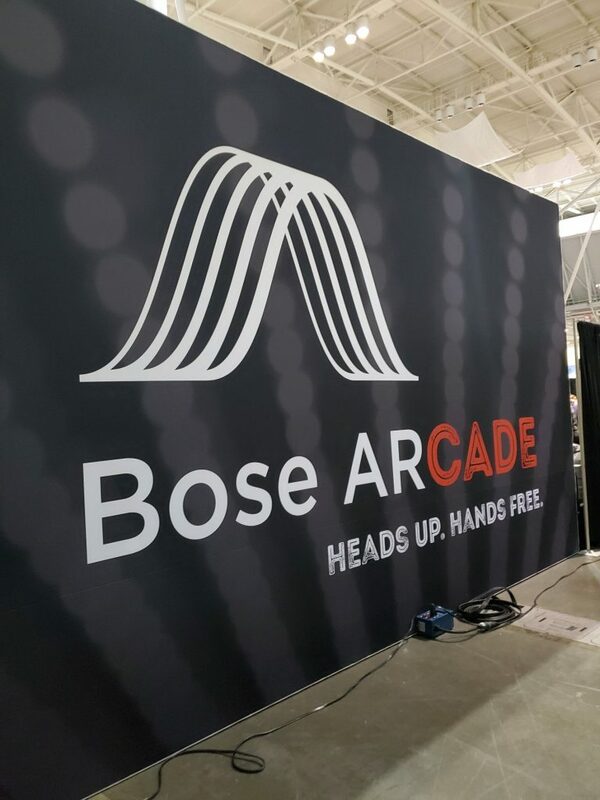 It’s amazing to see large companies like Bose creating partnerships that empower indie game developers. 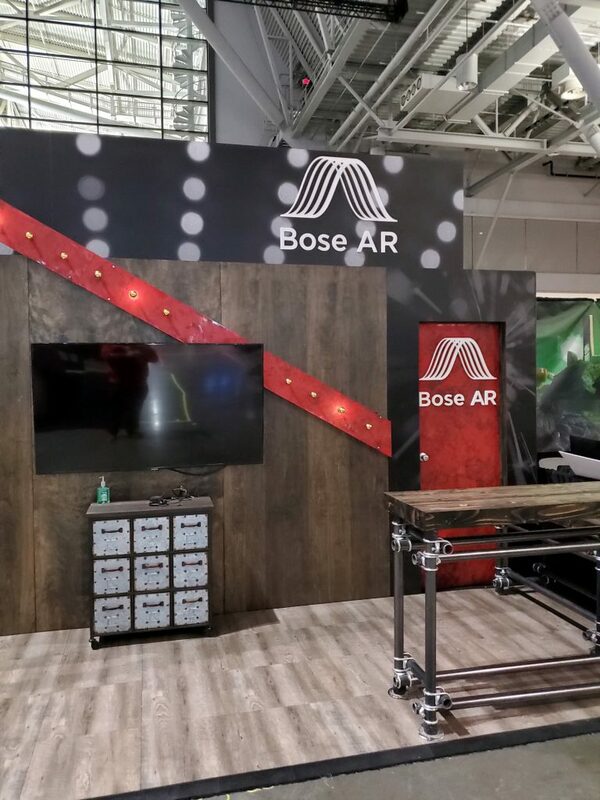 The partnering company, Playcrafting, curated the development of five unique AR games for the new Bose AR product, which creates sound-first AR player experience. 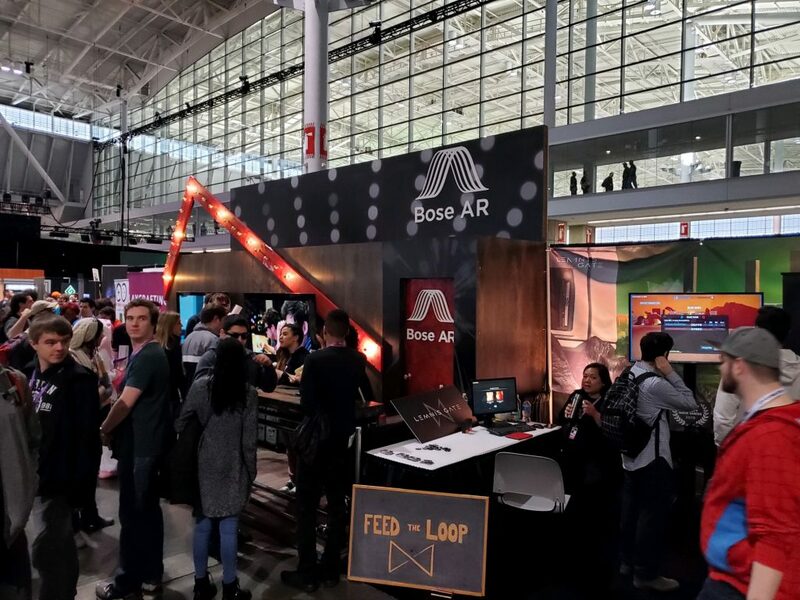 Both companies had a need for a top-notch tradeshow booth design to be featured at PAX East 2019, PAX West 2019, and Play NYC 2019. This is where I came in. 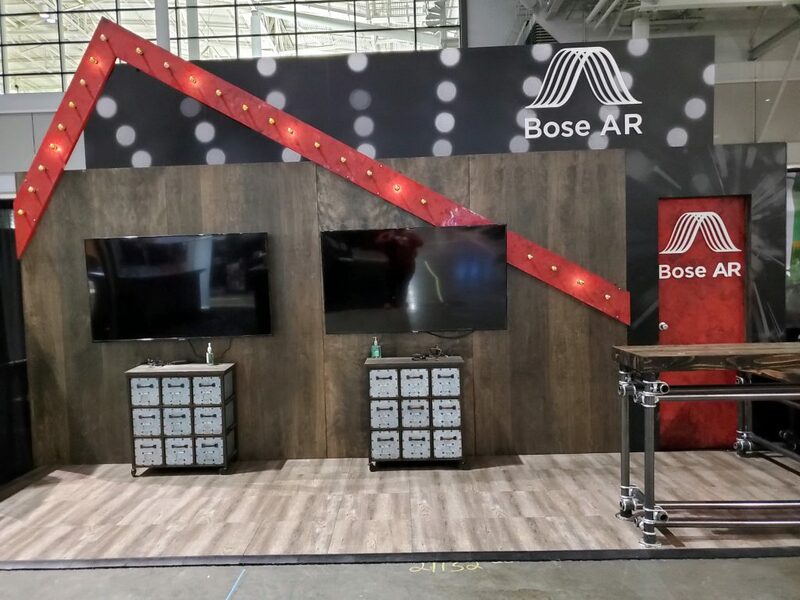 Identifying the client’s goals, (Bose), was the first step in understanding how this booth needed to come together. 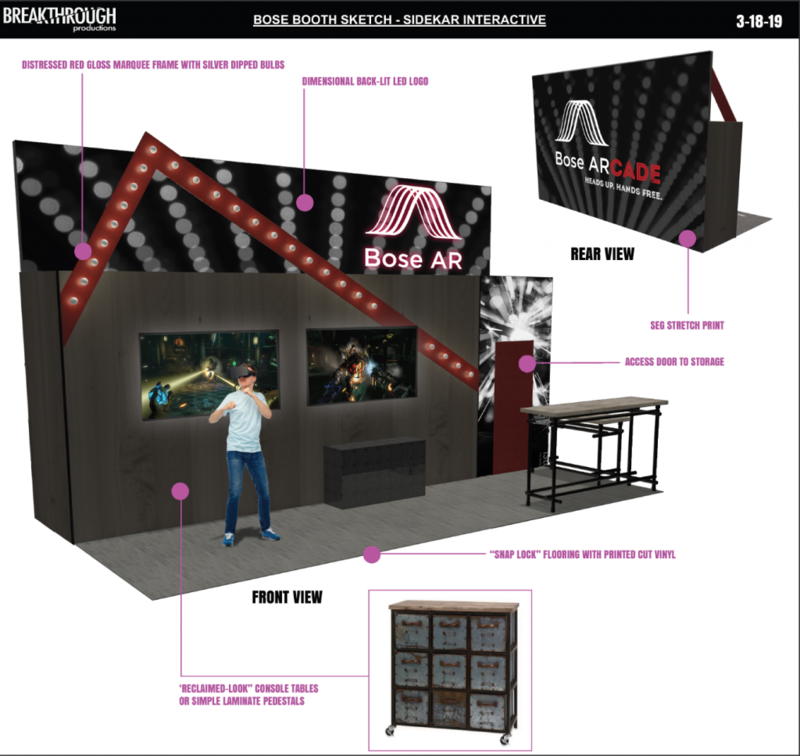 Since the booth will be showcased at three major gaming conventions across the country, I had to ensure that the design was able to draw attendees’ attention while being compact and easy to assemble and ship to each location. Partnering with a talented and experienced booth manufacturing company was crucial for manifesting the design. After many phone calls and meetings with Breakthrough Productions, I was able to direct their team toward a high fidelity design concept. 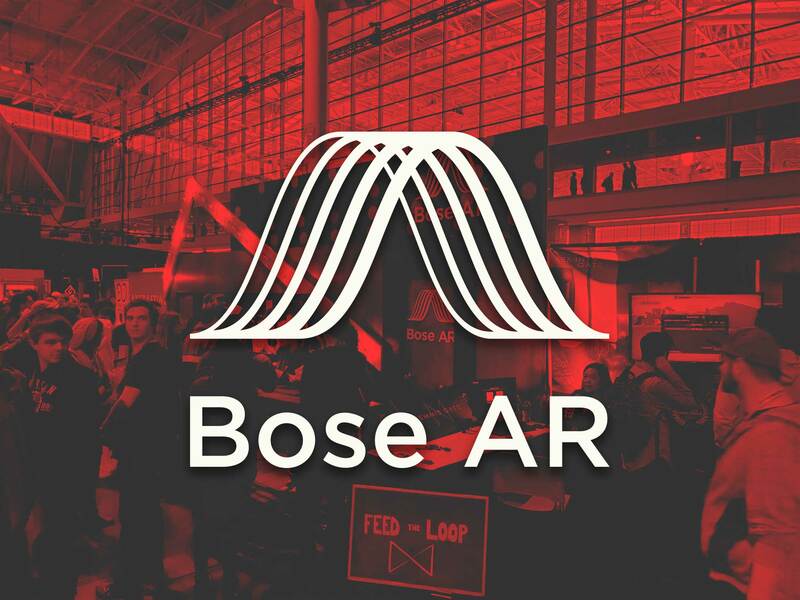 After a few rounds of revisions, the concept was approved by Bose. 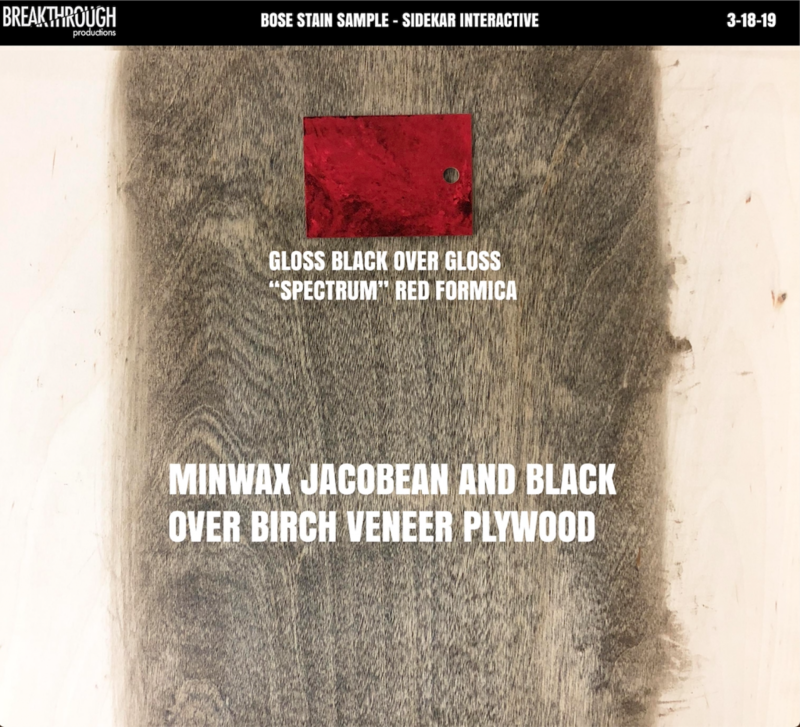 The next step was to create physical samples that would help the team envision what the actual booth materials would look like. Once the client was satisfied with the physical proofs, production began. 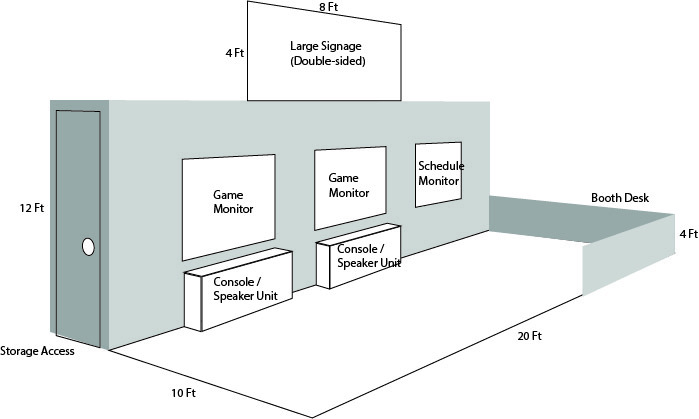 The booth was designed to be assembled without the help of power tools. 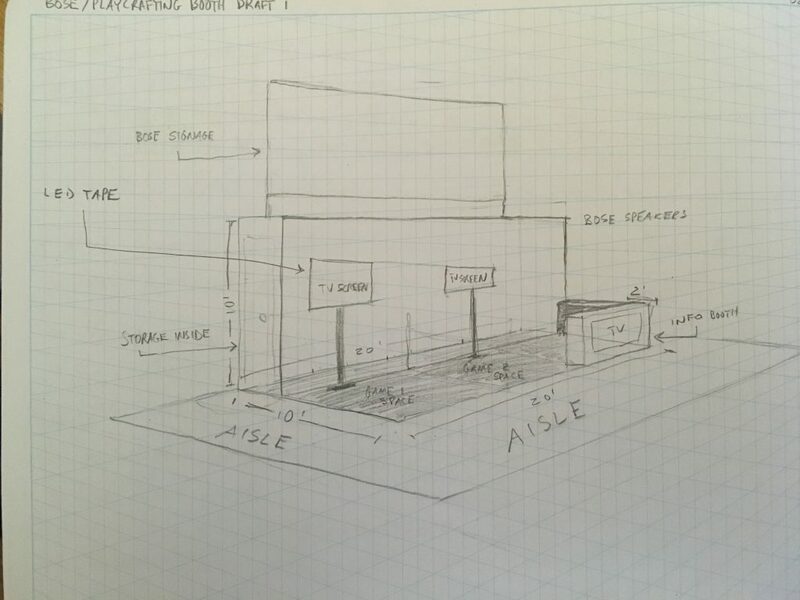 This way, booth staff is able to unload and set up a great looking booth without having to rely on outside parties who would otherwise charge a substantial fee for booth assembly. Once the booth arrived onsite, the team got to work setting up the booth over the course of only a few hours. The BOSE AR-CADE is a hit!